Lee Shervheim’s family isn’t typical, but you wouldn’t know that just by talking to him. The Lino Lakes man and his wife have seven children, including three daughters who have Down syndrome, and two of whom are adopted. Looking towards his daughters’ futures, Lee has been working to become an informed advocate for them and plans to help make all their life goals and dreams a reality, regardless of their disabilities. 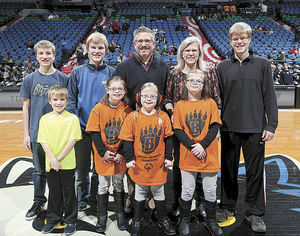 Lee, with his wife Karen, 18-year-old twin sons Daniel and Andrew, son Sam, 14, biological daughter Annie, 11, adopted daughters Katie and Emie, both 11, and son David, 8, have lived in Lino Lakes for five years after moving from North Dakota for a job change. Katie and Emie came from different parents, but both were living at the same orphanage in Kharkov, Ukraine. They joined the Shervheim family in 2008. Currently, the Shervheim family dwells on a unique spot north of Bald Eagle Lake. They have a Lino Lakes address, a Hugo zip code, and the kids attend White Bear Lake area schools. Lee has been a development manager in the polymers and plastics department at Medtronic for about 3.5 years and Karen is a stay-at-home mom, managing the bustling Shervheim home. 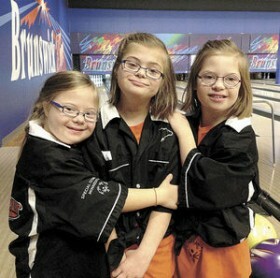 After having one daughter with Down syndrome, Lee said they chose to adopt two more children with disabilities after he started thinking about his biological daughter’s future and the type of companionship she would have. As they were looking into the adoption process from Eastern European countries, Lee and Karen discovered it was very common for parents that delivered a child with disabilities to abandon the baby at the hospital. Those abandoned babies end up in orphanages until about the age of 5 or 6 and then are transferred into mental institutions containing adult populations. The Shervheim adoption story is different than other adoption stories. 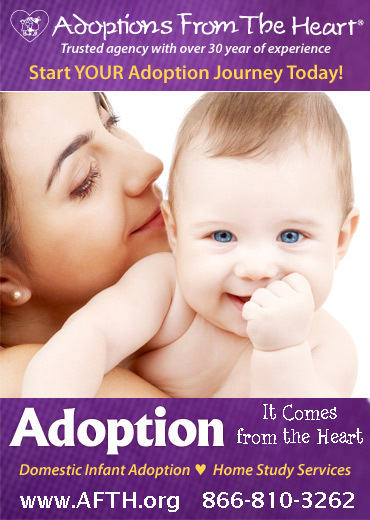 Many families wanting to adopt sometimes wait months and years for the child they wish to bring into their family. The Shervheim’s entire adoption process took less than a year. In the fall of 2007, Lee and Karen decided they wanted to adopt two children and started the paperwork. They had found Katie and another little boy through an online child advocacy photolisting, but it was a race against time because Katie was reaching the age where she could have been transferred to a mental institution. In June 2008, the call came for the Shervheims to go to Ukraine and complete the adoptions. Lee and Karen took their two oldest sons with them to Ukraine and left the three younger children in the hands of family members. Unfortunately, every step in the Shervheims’ adoption process posed challenges and hurdles. When the Shervheims got to Ukraine, they discovered that the little boy they had been interested in was no longer available. Lee and Karen decided to look at other children to see if any would be a fit with their family, in addition to Katie. As they were looking through pictures, the couple came across a photo of a little girl (Emie) who was laying on her tummy with her head up (Lee said it looked like kind of like what a turtle would do). “We had that exact same picture of Annie in our living room and my wife and I both looked at each other and knew that we needed to get Emie as well,” said Lee. Planning to be out of the country for only about three weeks, the four ended up staying in Ukraine six weeks waiting for processing and paperwork to be finalized through the government. According to Lee, part of it was just the system and part of it was because the adoption wasn’t a priority for the government. The Shervheims rented an apartment in Kiev that was only about a 10-mile drive from the orphanage in Kharkov. An adoption facilitator from the area lived with them for those six weeks and served as the family’s translator, tour guide, driver and more. Visits to the orphanage occupied the Shervheims’ mornings. The 5-acre compound consisted of three to four buildings and housed approximately 100 to 200 orphans. Lee said that the children in the orphanage would just sit outside and look around because they had no toys to play with and no books to read. The family spent time every day getting to know Katie and Emie. They introduced the girls to bubbles, books, stuffed animals, and other toys and took them for walks and play dates on the playground. In the afternoons and evenings Lee, Karen, Daniel and Andrew explored Kharkov and the surrounding area. They went to zoos, parks, museums, concerts and even mastered the Ukrainian subway system. Lee was even able to work remotely while in Ukraine by going to hotels’ business centers and connecting to the Internet. For one, language was a huge barrier. Katie and Emie didn’t understand English and the Shervheims knew a minimal amount of Russian. The first thing the family did was to teach the girls sign language, and that served as their primary way of communicating for six to nine months before the girls started to pick up English. Katie and Emie also struggled with their loss of familiarity and basic understanding of childhood behaviors. They didn’t understand the concept of playing, Lee said. The girls’ idea of play was to take everything off the shelves and throw it on the floor, but they didn’t know any better. Less than a year later, the Shervheims picked up and moved down to Lino Lakes. It was a huge transition for the family, said Lee, and they lost their entire support system. According to Lee, the first couple years after the adoption were really rough, but every year has become progressively better. “[Katie and Emie] now know us as their family and they are a super integral part of our family,” said Lee. Shervheim family members have found a lot of support in their local community through a variety of programs. After they started attending Eagle Brook Church in Lino Lakes, they made many friends who surrounded their family with support and love. Eagle Brook is also where the Shervheims met their current personal care attendant, who works for them four to five times a week. Katie, Emie and Annie are all involved with the ECFE program at Otter Lake Elementary School and participated in the Young Athletes Program through the White Bear Lake YMCA until they got involved with the Special Olympics Minnesota White Bear Lake team. The girls participate in the bowling, basketball, and track and field events and Lee volunteers as a coach. Besides enjoying things that all little girls do (dolls, dress-up, playing outside, coloring, etc. ), the three Shervheim girls all have unique interests. Katie is the athlete. She loves sports, has great coordination and has played one season of Miracle League baseball in Blaine. Annie is the fashion queen. She loves to put together outfits and experiment with sparkly jewelry and makeup. Emie loves to organize and do detailed things with her hands. She also has a phenomenal memory and can beat the whole family in a memory game they play. Emie and Annie also participate in a drama and acting class on Saturday afternoons. Lee said that he will keep setting the bar high for his daughters and encouraging them to follow their dreams and passions. He wants to see his daughters lead active and healthy lifestyles, live independently with appropriate support, be able to drive cars, and fall in love and get married. Shervheim recently completed a program called Partners in Policymaking. The advocacy training program was a nine-month commitment of 120 hours of classwork and homework. The eight sessions, held on Fridays and Saturdays once a month, covered the history of the disability and self-advocacy movements, inclusive education, supported living, and avenues to influence county, state and federal legislative processes. Partners in Policymaking has existed for 28 years and over 900 people have been through the training program. There is no cost for the program, since it is covered by a federal grant. “One of the things I was thinking about as a dad is, ‘What do my daughters’ futures look like?’” Lee said. According to Lee, 40 years ago life for a person with Down syndrome would mostly consist of being institutionalized for a major part of his or her life. Twenty years ago, it would have been living in a group home and working at sheltered workshops. Shervheim has brighter dreams for his daughters’ futures and has worked hard to become a voice and an advocate for those dreams. Beyond that, Lee said he would like to serve on some sort of panel, commission or council that would help promote the needs of people with disabilities and let the world know that people with disabilities have value and worth and can add to the whole framework of life. Reprinted with permission from the Quad Community Press © 2015 Your local online newspaper. To view children waiting for adoption, including children with Down Syndrome, visit the RainbowKids Photolisting now.